An evolution of the legendary Dragonoid line of Bakugan. The extended reach of Iron Dragonoid's neck enables him to shoot plasma blasts at the opponent with the greatest precision. He uses his strong wings to fan intense heat towards his enemies in battle. The tenacity and strong will of Iron Dragonoid make him difficult to defeat. 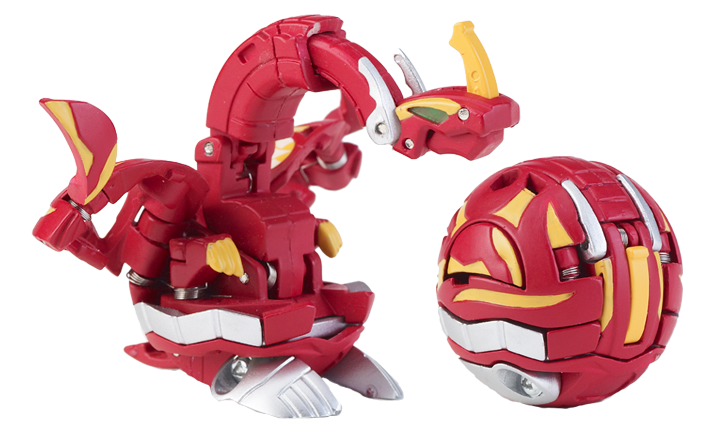 Iron Dragonoid is a variation of the Dragonoid and is part of the Bakugan Special Attack series from the second season, Bakugan: New Vestroia. 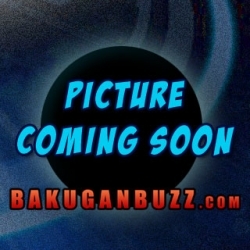 It is said that it will be released on the fourth season, Bakugan: Mechtanium Surge. 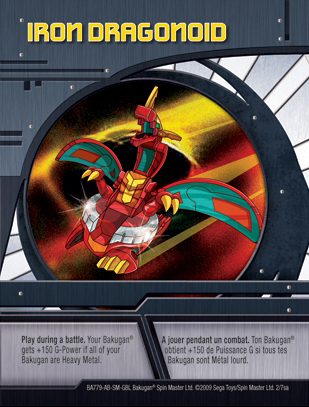 Purchase Iron Dragonoid Bakugan below.